Meeting facilities: up to 24 persons. The office of Studio Legale Sutti for Genoa and Liguria was established in 1948 by Venerando Pennisi, under the name of Studio Pennisi and in its current beatiful premises, located in an eighteen century building in the historic centre of the city. Through hard work and a deep commitment to the development of the Genoa community and economy, the reputation and goodwill of the firm kept growing over the years under the guidance of Giuliano Pennisi, especially among local businesses and financial institutions, involving inter alia the appointment of partners to the local Bar Council, to academic positions at the University of Genoa and to local boards of directors; and eventually leading to a merger with the rest of Studio Legale Sutti, which took place in June 2000. 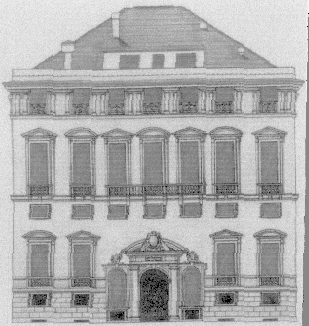 The Genoa office, which is still staffed by the original Studio Pennisi members who retain a wide autonomy with respect to its day-by-day management, is today fully and seamlessly integrated with the central resources of SLS’ Head Offices, allowing local members to participate in full in the Firm’s general work and activities irrespectively of the fact that they may happen to find themselves in Genoa or in any other city where we are permanently represented. 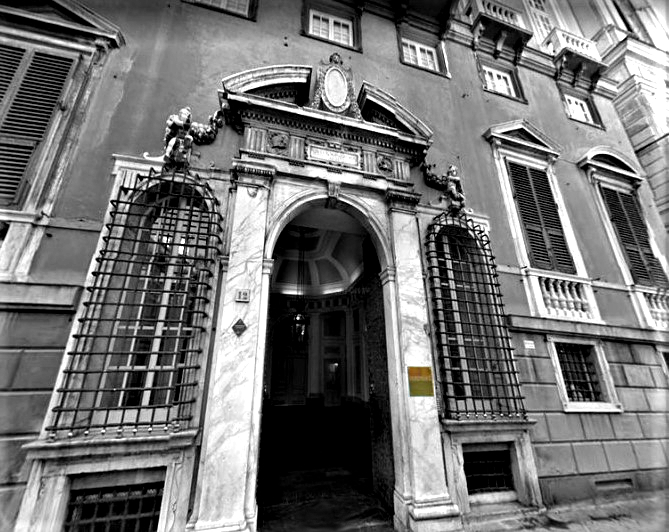 The specific mission of our presence in Genoa is, however, that of offering on site the full range of services of Studio Legale Sutti – plus that of providing the Firm’s clients with specialised assistance in the areas of Maritime & Admiralty Law, and, of course, with representation before all local courts and authorities. Employment law is also one of the the strong points of our local practice, Giuliano Pennisi being himself employment law professor at the local university. The establishment of SLS’s Genoa Office was reported in Italy by Italia Oggi, on 22/06/2000 (“A Tandem for Sutti and Pennisi”), by Il Giorno on 26/06/2000 (“When Merger Means Strength)”, by Il Giornale on 24/06/2000, by the financial weekly magazine Il Mondo on 30/06/2000 (“Lawyers, Sutti Merges with Pennisi”), by La Repubblicaon 02/07/2000 (“An Alliance for Pennisi”), by the weekly news magazine Libertà (07/07/2000, “A Genoan Marriage for SLS”), and by Il Secolo XIX, the most popular newspaper in Liguria, on 23/06/2000 (“Studio Legale Sutti Merges with Pennisi”), which remarked that Studio Legale Sutti is now one of the main law firms to be represented in Genoa. A similar report was also published by Deutschland-Italia, the magazine of the German Chamber of Commerce in Italy (“Studio Legale Sutti fusioniert mit Studio Pennisi. Eröffnung in Genoa”). Among specialised international media, the merger with Studio Pennisi and the subsequent re-organisation of our Shipping, Admiralty and Maritime practice was discussed by The Lawyer 21/07/2000 (“Studio Legale Sutti To Open in Genoa after Local Merger”), InBrief 07/09/2000 (“Studio Legale Sutti Merges with Pennisi”), The European Lawyer 01/10/2000 (“SLS Takes to High Seas”), The Law Society Gazette 31/08/2000 (“Big in Italy”) and, on the Web, by The International Law Office – Legal Newsletters (“June’s Mergers, Alliances and New Offices”). and Legal500.com Legal News (“Italian Firms Fuse”). The election of SLS as the first European member of the Global Alliance for e-Commerce Law was also noted by local leading newspaper Il Secolo XIX, (“Global Alliance Land in Genoa”, 10/12/2000), while SLS was mentioned by La Repubblica (“Legal Behemoths Land in Genoa, Ready for Global Challenges”, 19/01/2001) as one of the largest Italian firms having choosen to establish a strong presence in the region, and our Genoa office was recommended as offering “a full range of commercial services, with specialised assistance in the areas of maritime and admiralty law”, by the 2002 edition of The Europe Legal 500. A reception was given on our Genoa office’s terrace on 30/06/2000 to celebrate the merger and on the same date we were pleased to receive the congratulations of the President and Governor of Regione Liguria, the Milan Consulate of Costarica, the President of Genoa Cricket & Football Club, the Chairman of the CARIGE Bank, the Chairman of MT, and many other companies and agencies.